On March 28, 2019, a hearing was held before the Judicial Panel on Multidistrict Litigation (JPML) regarding the 3M Combat Arms Earplug lawsuits. The hearing took place in Washington, DC. The JPML is a panel comprised of federal judges, who decide where the cases will be consolidated for all pretrial litigation. When you have large numbers of lawsuits filed in federal courts throughout the U.S., involving the same product or company, the JPML is allowed to consolidate those cases before one judge in one court for all of the pretrial litigation. The theory behind the Multidistrict Litigation Court is that you will have one judge ruling on pretrial matters and evidentiary issues in the case, rather than having multiple judges issuing different rulings on the same issues in different federal courts throughout the United States. Lawyers representing soldiers and 3M argued for the cases to be consolidated and transferred to federal courts in various states, including Georgia, Texas, Louisiana, and Minnesota, where 3M Company is headquartered. 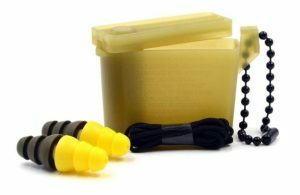 The lawsuits against 3M claim that the company defectively designed its earplugs in a way that did not provide adequate hearing protection, and that 3M consistently misrepresented the effectiveness of the Dual-Ended Combat Arms Earplugs in order to meet the government’s minimum specifications. Specifically, lawsuits against 3M allege that the defective design caused the earplugs to become loose in the soldiers’ ears, causing the soldiers to be exposed to harmful noise levels. The lawsuits also allege that 3M provided false and inaccurate noise reduction ratings for the Dual-Ended Combat Arms Earplugs to the government. As a result, soldiers and veterans throughout the U.S. are suffering from noise-induced hearing loss and tinnitus (ringing in the ears).